Status: Endangered in the United States. In Canada it was declared "extirpated" in 1978, but is being reintroduced. Diet in the wild: Mice, cottontail rabbits, carrion, small mammals, birds, insects, reptiles and amphibians. Diet in the zoo: Carnivore diet, insects and fish. Height: 30 cm. at shoulder. Body length up to 80 cm. Males are slightly larger than females. Color buff-grey on top and orange-tan on side. In the summer, the fur is coarse and short with more reddish gray. Small nose with black spot on each side. Ear is orange-tan and the tip of the tail is black. 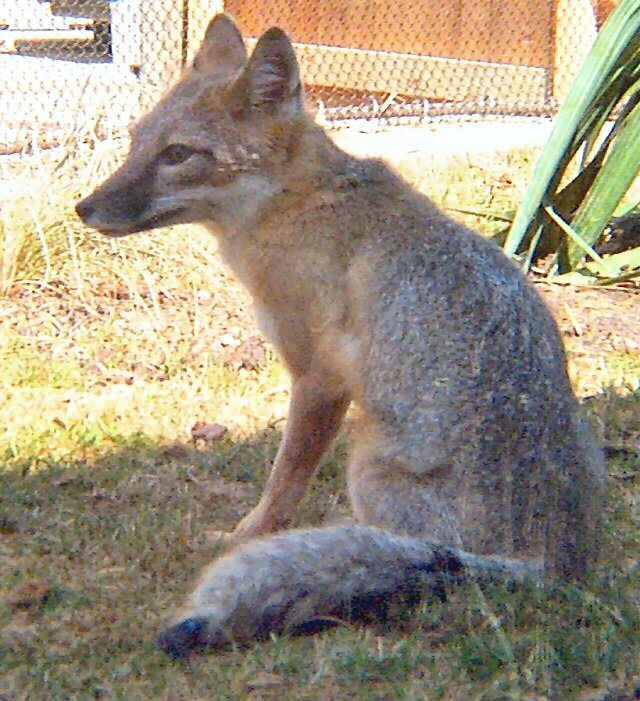 The swift fox is the smallest canids (a group that includes dogs, wolves and foxes) in North America. Swift foxes are found primarily in Canada, with scattered populations in the plains states. They prefer to live in open spaces, sparsely vegetated short-and mixed-grass prairie. Swift foxes are predators, hunting a variety of small mammals, reptiles, birds and amphibians. However, they are very opportunistic feeders because they may also eat carrion. In the wild, swift foxes spend much of their time in search of food. The swift foxes have very low tolerance for wind, and on a windy day they are unlikely to be seen above ground. They are highly curious and are easily attracted to bait, which frequently results in poisoning. Swift foxes live alone or in not strictly monogamous pairs. Breeding occurs in early spring, resulting in a litter of 4-5 pups born in an underground den after a gestation period of about 60 days. The pups open their eyes after 10 - 15 days, and become weaned by about 7 weeks, but stay with their mothers for several months. Some animals may spend their lives as nonbreeders. They are reported to be unusually trusting of humans, which increases their vulnerability to hunting or capture. 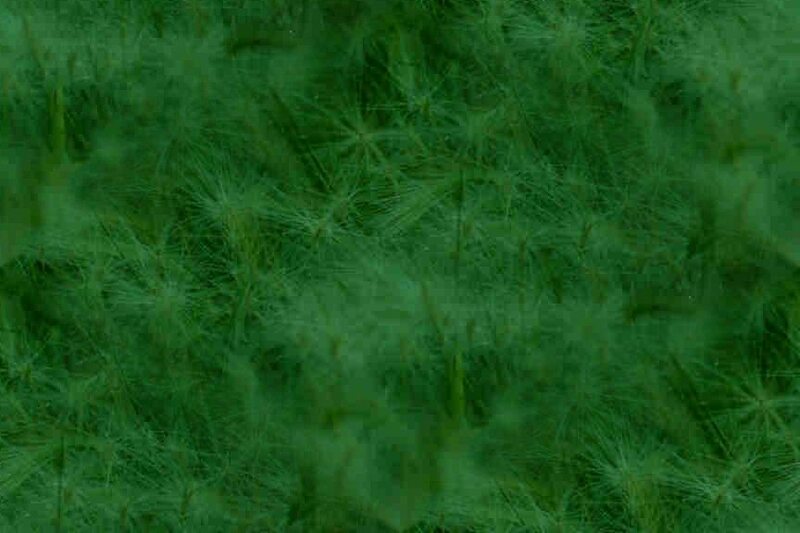 However, the main factors in their loss from the wild are loss of habitat due to the spread of agricultural lands, severe climatic conditions, and reduction in population size, which leads both to difficulty in finding mates and in reduction in genetic diversity. How swift is a Swift Fox? 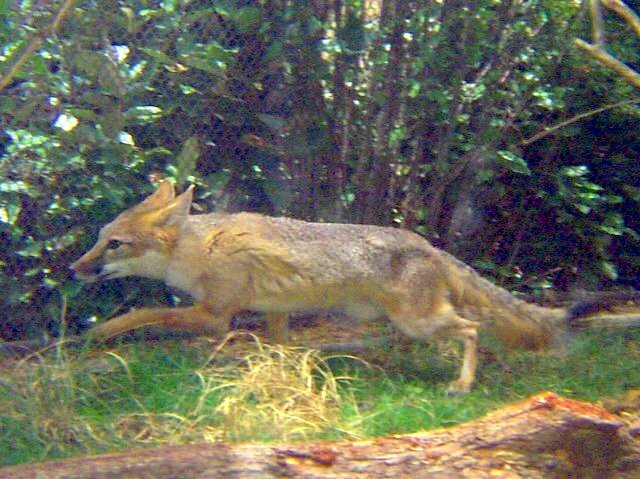 The fox can travel at speeds greater than 60 MPH, but because it is so small, the movement of the animals body over the background makes it seem to be going even faster. 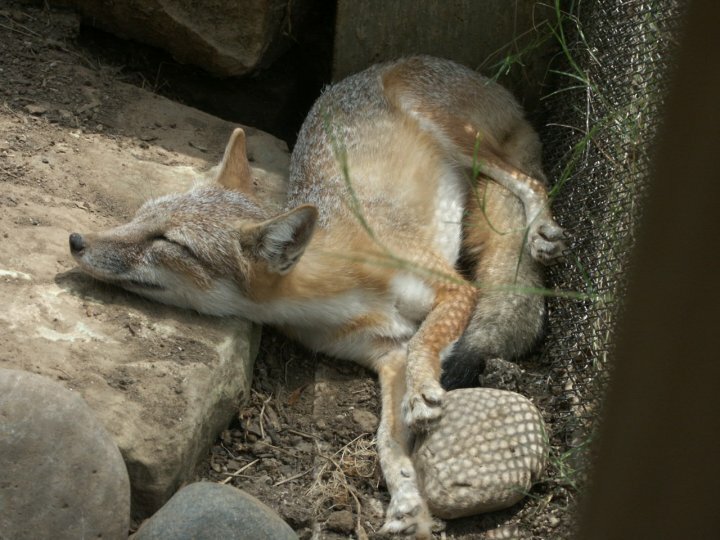 The Swift Fox is mostly nocturnal, resting near its den during the day. They can often be seen snoozing in the sun in their exhibit at the Fort Worth Zoo. 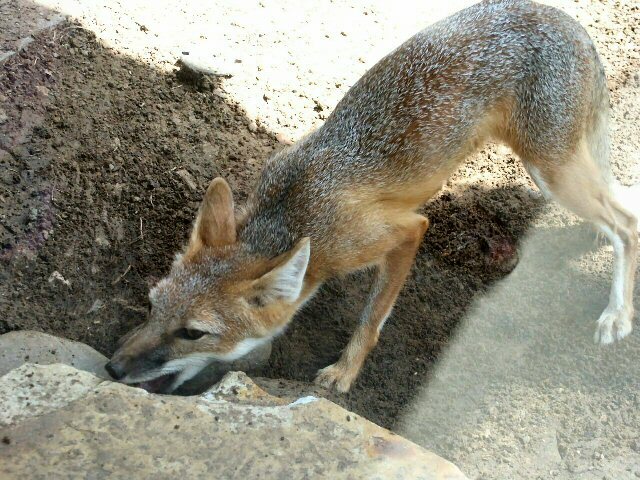 The Fort Worth Zoo foxes can be seen in the Hill Country Exhibit at Texas Wild! The animals are a breeding group that is endangered but they are trying to help them be restored and conserved. Swift foxes like to walk around to be aware of their environment in the mornings because during the day it gets too hot. The animal is very alert and quick to run from perceived intruders, like construction workers near the exhibit.